Atlas V blasts off from Cape Canaveral carrying the GOES-R satellite into orbit on Saturday, November 19, 2016. 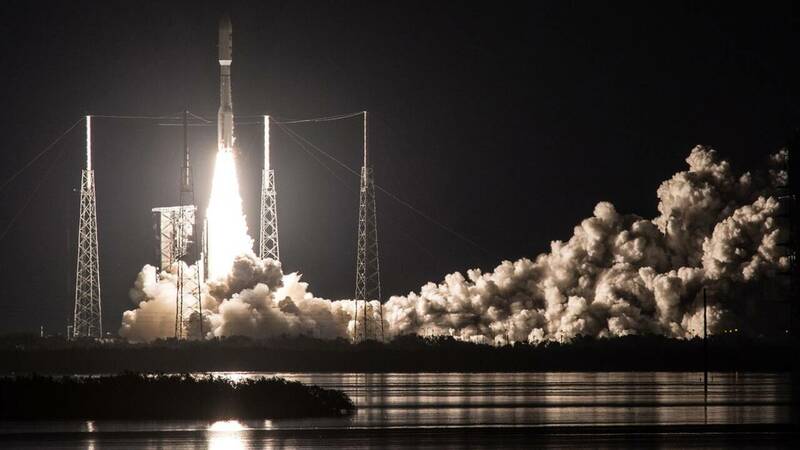 CAPE CANAVERAL, Fla. - Launching at the last minute in the Saturday evening window, a Atlas V rocket blasted off carrying a powerful imaging weather satellite into orbit. About 40 minutes before the 5:42 p.m. launch window opened an anamoly was detected and the four minute countdown was put on hold. After that the range wasn't clear, but just in time the United Launch Alliance rocket was cleared for liftoff. The Space Coast was dark at 6:42 p.m. as the rocket cleared the pad and carried the National Oceanic Atmospheric Administration and NASA GOES-R satellite into orbit. Meteorologists and are about to get a significant upgrade to their prediction data with the addition of GOES-R.
GOES-R is the first of four satellite, part of a $10 billion program, to help improve weather forecasting of incoming weather hazards. These satellites will provide continuous imagery and atmospheric measurements of Earth’s western hemisphere, lightning data and space weather. News 6 chief meteorologist Tom Sorrells is one of those excited for the upgraded satellite to be operational. GOES-R is loaded with a powerful new instrument called the Advanced Baseline Imager or ABI that will provide data and images in real-time, as frequently as every 30 seconds. This advancement allows NOAA to gather data on three times more channels with four times the resolution and fiv times faster than other satellites. That means more accurate predictions on developing storms. NOAA called the satellite a "game-changer" for weather prediction. The advanced satellite also includes another upgrade: the first lightning mapper in stationary orbit with Earth. This instrument will allow forecasters to track lighting instantaneously, according to NOAA. Check back for launch updates from Kennedy Space Center on Saturday and to watch live as Atlas V and GOES-R liftoff from the Space Coast. A United Launch Alliance Atlas V on the launch pad at Cape Canaveral on Saturday, November, 19, 2016.